Report: Ceasefire With Hamas Includes Releasing Terrorists But Not Bodies of Jewish Soldiers - Breaking Israel News | Latest News. Biblical Perspective. Palestinian media reported on Tuesday that the Egyptian-brokered ceasefire between Hamas in Gaza and Israel includes the release of security prisoners from Israeli prisons but not the return of the bodies of IDF soldiers who fell in the 2014 Gaza war. 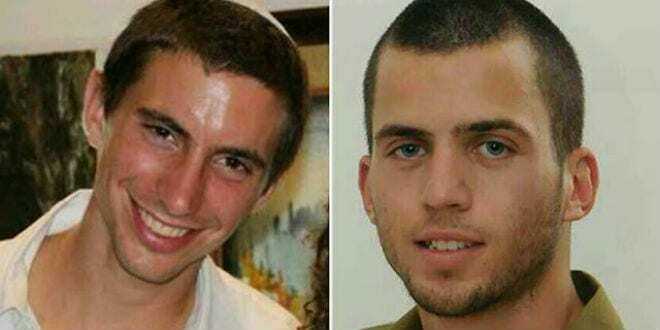 It was also reported that Israel demanded in return the release of the bodies of Hadar Goldin and Oron Shaul, two IDF soldiers who were killed in the 2014 Operation Protective Edge in Gaza. 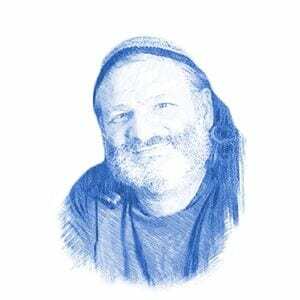 Aliya and Integration Minister Yoav Gallant responded to the report on Army Radio. “We always demand the return of Hadar Goldin and Oron Shaul, but it takes time,” Gallant said. Professor Simcha Goldin, the father of Hadar, told Israel National News that the family has not been informed of a prisoner swap but that Israeli Prime Minister Binyamin Netanyahu promised to bring his son’s body back as part of any agreement with Hamas. The Israeli government has made numerous attempts to negotiate the release of the soldiers’ bodies however the release of Hamas prisoners is a difficult issue. Israel had a longstanding policy of not negotiating with terrorists but in 2011, Israel released 447 Palestinian prisoners in exchange for Gilad Shalit, who was captured by Hamas in 2006. Due to additional conditions, the number of released Palestinian prisoners eventually rose to over 1,000. Many of them were later rearrested for perpetrating attacks against Israelis and in 2014, Israel rearrested 51 after three Israeli youths were murdered. The ceasefire negotiations are in response to increased conflict on Israel’s southern border. On April 14, Hamas fired several rockets at Israel, one of which made a direct hit on a house in central Israel. The IDF responded by bombing several empty Hamas military targets. Last Friday, 40,000 Gazan rioters challenged the security fence on the one-year anniversary of the Hamas-led March of Return riots. Hamas was praised by the Israeli government for “showing restraint.” Four Gazans were killed in confrontations with the IDF that included the Palestinians throwing explosive devices at the Israeli troops. On Saturday night, another five rockets were fired at southern Israel. Despite the rocket fire, Israel reopened the Kerem Shalom crossing and the Erez crossing which had been closed since the rocket fire the previous week. As part of the ceasefire agreement, the Israeli government has thus far consented to the UN beginning to draw on the $300 million fund for Gaza Strip’s economic development accumulated from donations by different countries.